No.108, Jalan Tun Dr. Awang, 11900 Penang, Malaysia. Prevailing over all obstacles as RIWAY International’s 10th Anniversary is right within our grasp! 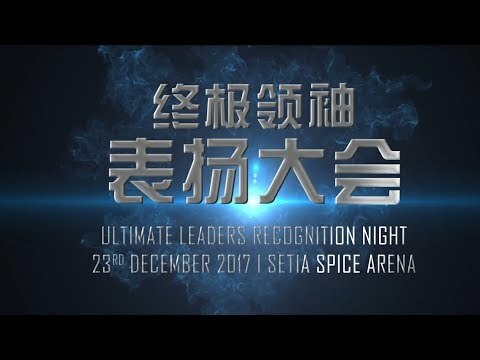 We have completed 2017 with our all-time climatic “Ultimate Leaders Recognition Night” in Malaysia, Penang, Setia SPICE Arena! RIWAY International united two of the most popular singers from Malaysia, Penny Tai and Victor Wong as they came together to sing a duet of “Deed” as well as a series of gold classics, resonating and awakening beautiful dreams atop a stage that overflowed with honour and accomplishments! We have soared freely on that night, hand in hand, and we have found our meaning in life!